Tuesday 31st March 10am-12pm Craft Day! Come along for the morning to design and decorate your own item to take home. Choose between photo frames, money boxes and lots more. Prices between £3- £5 per child depending what you make. No need to book just drop in. Want to find out more about our animals and visit our new born lambs? Then come along for a guided farm tour to find out what it takes to look after our animals. Booking is essential, to book call 020 8319 8900. £1 per person. 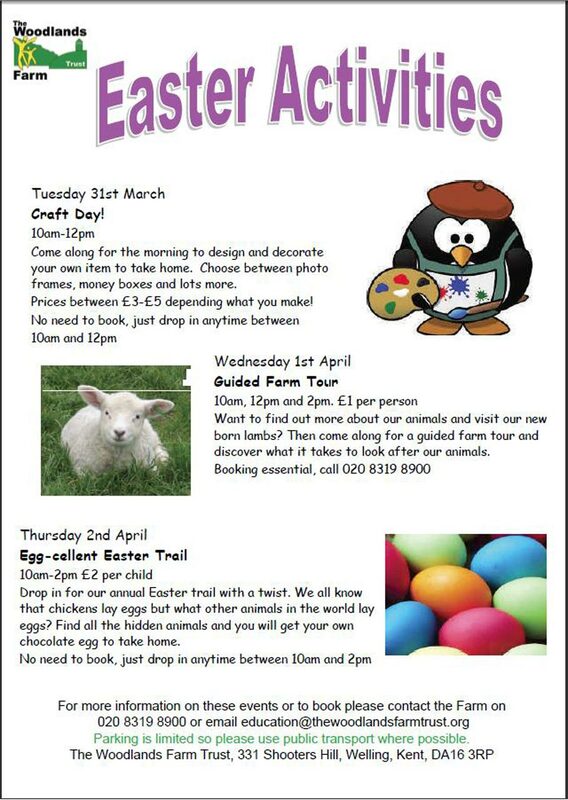 Drop in for our annual Easter trail with a twist. We all know that chickens lay eggs but what other animals in the world also lay eggs? Find all the hidden animals and you will get your own chocolate egg to take home. £2 per child. No need to book, just drop in anytime between 10am and 2pm. 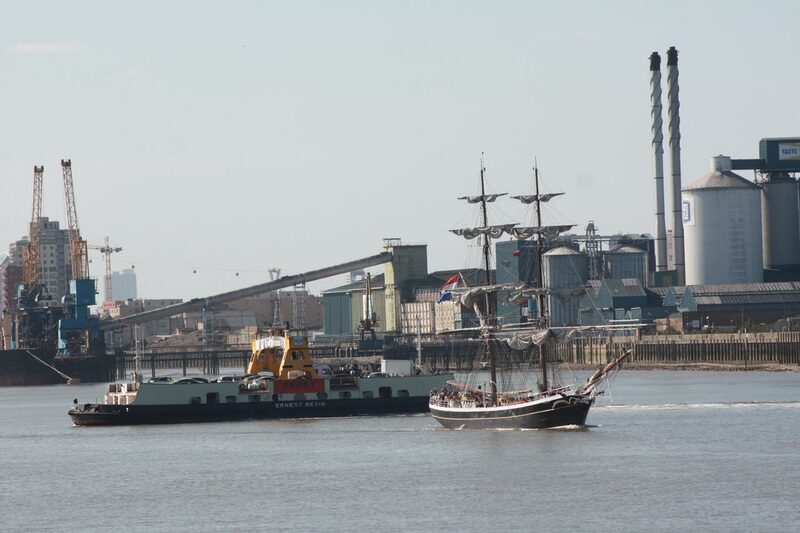 While down on the farm, take the opportunity to visit the refurbished dipping pond which was opened by the Mayors of Greenwich and Bexley last Friday. Work on the pond was funded by a grant from HSBC and volunteers from the bank helped to clear the old pond which was very overgrown. Most of the rest of the refurbishment was done by the farm’s regular volunteers. The Bexley Wildlife web site has more about the official opening including photographs of the event. 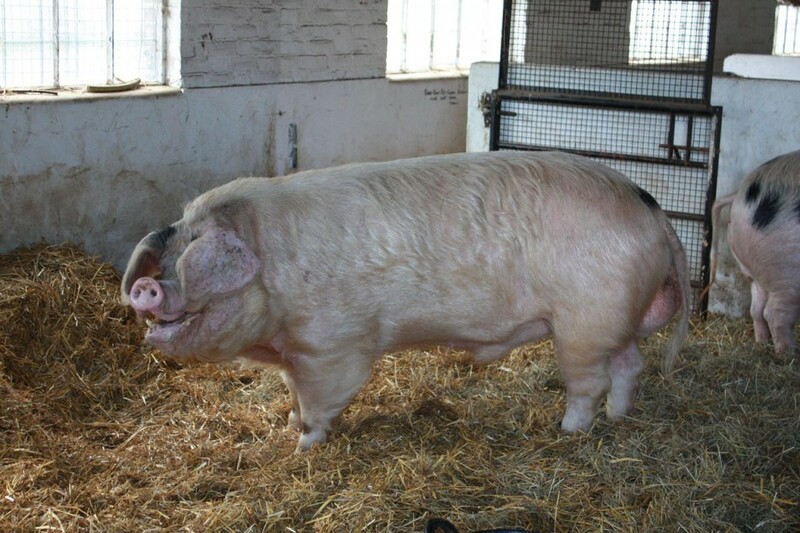 You may also be able to see Rufus, the farm’s visiting boar, provided he hasn’t succeeded in his task of getting the two sows pregnant, and the first lamb of the season which was born yesterday. There will be many more lambs before Lambing Day at the farm on Sunday 12 April 2015. 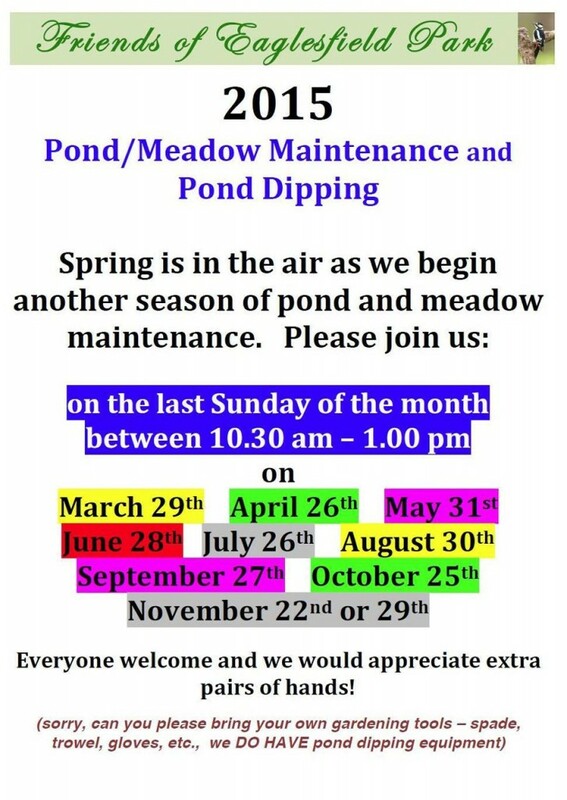 We are continuing with our “last Sunday of the month” pond and meadow maintenance, beginning 29th March. Attached is a poster we will be displaying on the Eaglesfield Park noticeboard and I wondered if you could use it. (I admit it is a bit colourful !). We really do need more folk to help us and to become involved with the park We would like to hear the views and comments of park visitors. 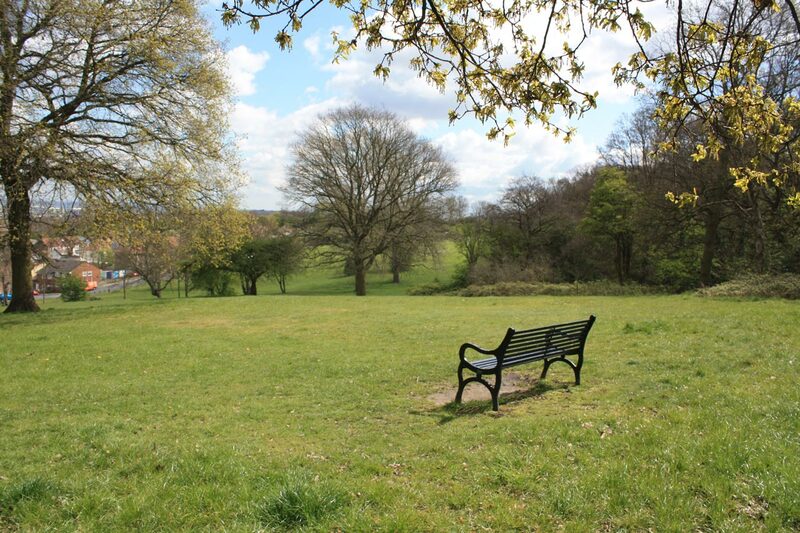 The Friends will be meeting at the park between 10.30am and 1.00pm on the last Sunday of the month from March to November. 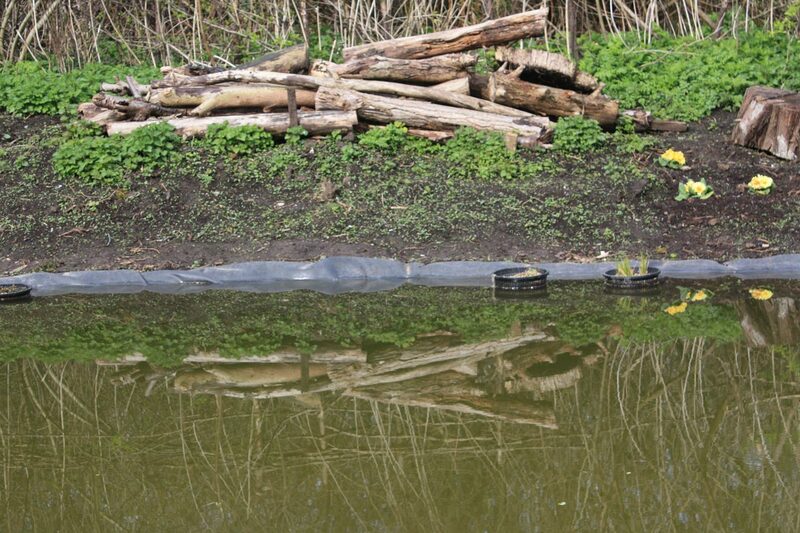 At the first meeting of the year they will be probably be thinning out unwanted plants such as docks, stinging nettles and brambles, cutting back shrubs, thinning out the pond margins and litter picking, and there will be an opportunity to do some pond dipping. There has already been frog action in the pond. After the March meeting they will be getting together, weather permitting, on 26th April, 31st May, 28th June, 26th July, 30th August, 27th September, 25th October and 22nd or 29th November. The Friends now have a very comprehensive, regularly updated blog, eaglesfieldpark.org which is well worth a visit – there are lots of interesting topics, photos and videos. They have also changed their email address to: foepshootershill@aol.co.uk. Good news for bee keepers, and honey lovers. 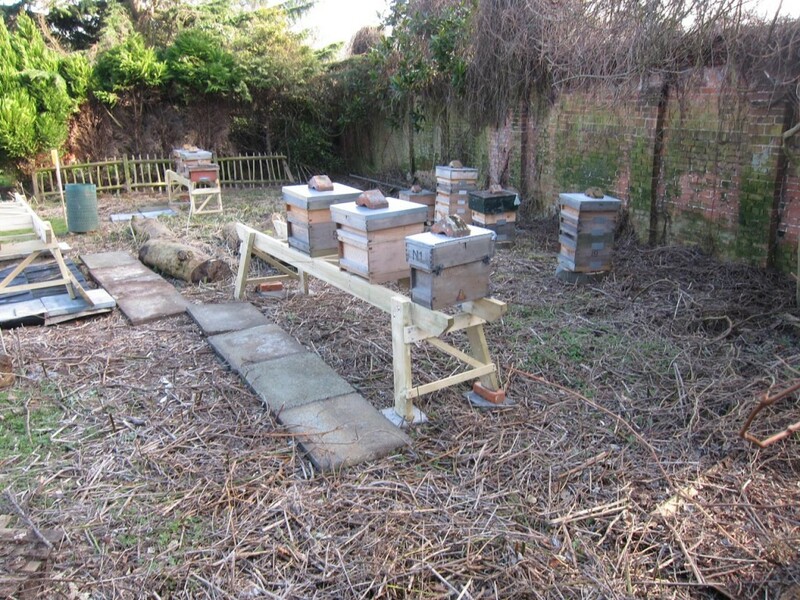 A new apiary, the Oxleas Wood Apiary, has been established in the Royal Greenwich Parks & Open Spaces Depot, Crown Woods Lane, and they are running an Introduction to Beekeeping course and apiary days through 2015. The 8-week course starts on 29th April, and the evening classroom sessions will be held in the nearby Oxleas Cafe. Details of the course are available on the Oxleas Wood Apiary website under the tab 2015 Beekeeping Season and registration is available via the online enrolment form. 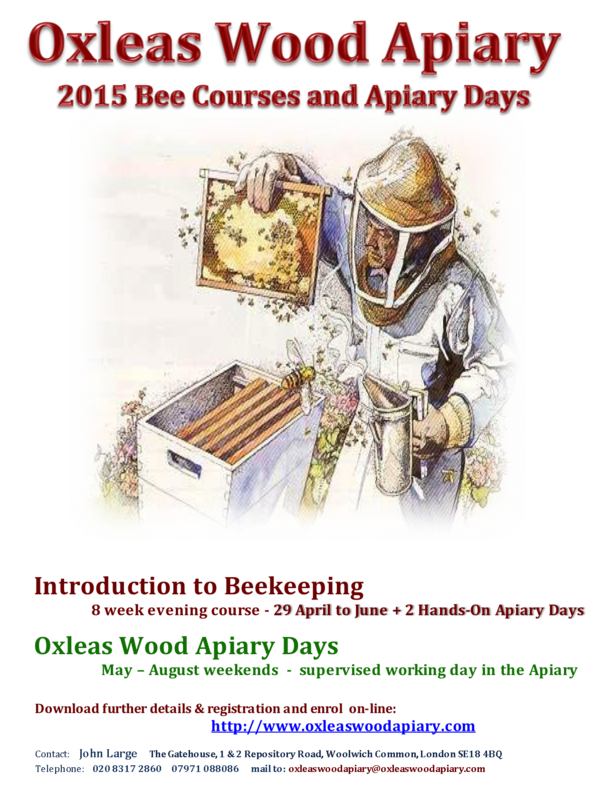 The 2015 Introduction to Beekeeping course commences on 29 April and the Apiary Days are bookable throughout the beekeeping season (May through to September). For enquiries about the wonderful world of the honey bee I can contacted direct at oxleaswoodapiary@oxleaswoodapiary.com and/or johnlarge@oxleaswoodapiary.com. 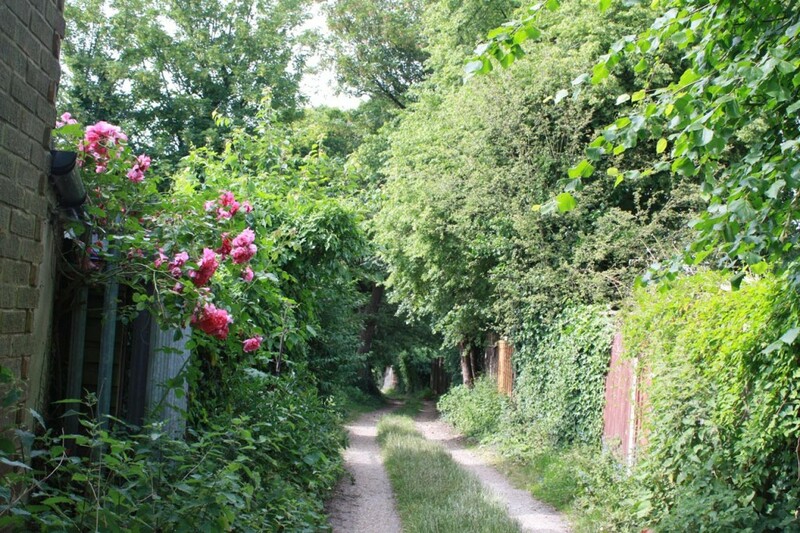 John praised the generosity of the Greenwich Parks and Open Spaces Department who “virtually jumped at the opportunity to provide the present Crown Lane Depot site for the Apiary.” The apiary’s aims are to be self-sufficient, and also to promote knowledge of bees (and other pollinators) and beekeeping in the Borough. 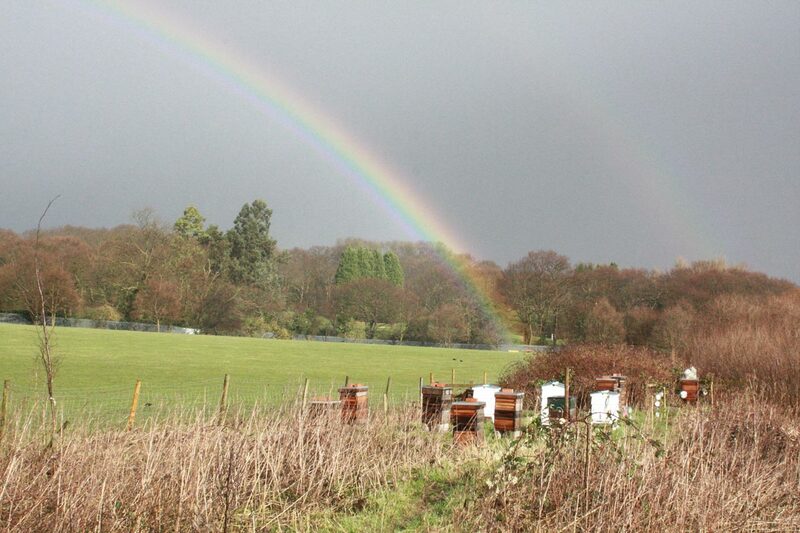 The apiary at Woodllands Farm will also continue with, I understand, support from Sidcup Beekeepers. So that’s twice as much honey coming from the wild flowers of Shooters Hill. 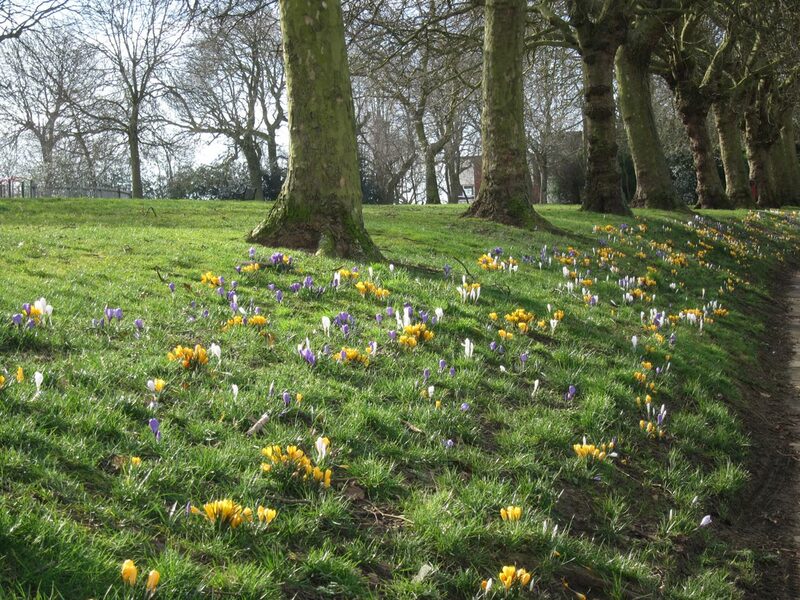 Local community groups from Shrewsbury Park, Mayplace Lane and Cantwell Road will each be getting together over this weekend to spruce up their areas, then the following weekend the Friends of Eaglesfield Park will be starting their regular maintenance sessions at the lilly pond (about which more in a later post ). Plus the Friends of the Pet Cemetery Charlton are holding gardening sessions on the second Sunday of each month at the cemetery. All of these groups would welcome volunteers to help. We will be holding a clearing session on Saturday 21st March, from 11am – 12 noon. We will be taking ivy off trees and picking up litter. If you can spare an hour, please meet at the Garland Road entrance to Dothill at 11am. You will need to wear stout gloves and sensible shoes. Please bring your own secateurs/loppers. On Sunday morning between 10:30-12:00 the Mayplace Lane group will be planting some fruit hedging bought with money donated by local residents and also building bug houses and litter picking. Any materials suitable for bug houses would be appreciated, for example: bricks, air bricks, clay pots, tiles and wood. 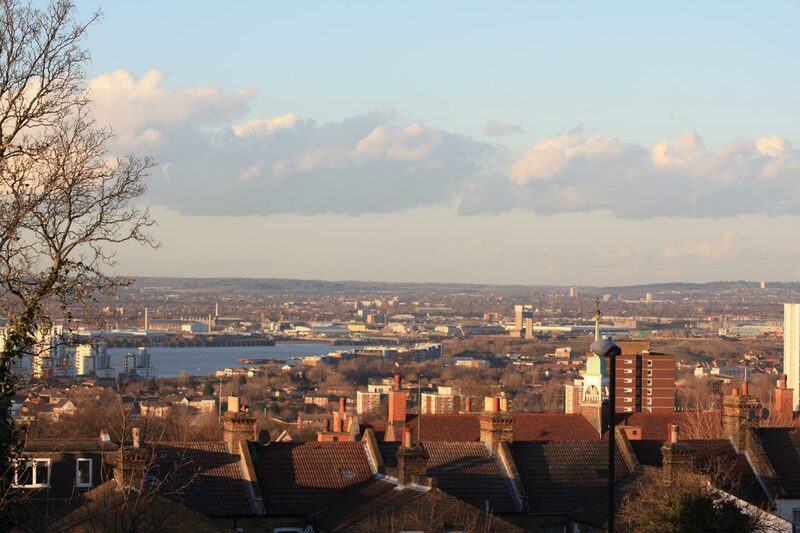 Nicola has arranged for Greenwich Council to provide litter pickers and rubbish bags, and to pick up the rubbish on Monday morning. So this weekend sees three good opportunities to meet neighbours and help improve the places we live in.